For a performer like Jackie Chan, whose strengths are almost entirely physical, age is a foe that will eventually defeat even the nimblest of warriors. For Chan aficionados—i.e. all human being capable of experiencing pleasure and joy—his singularly deft blend of martial arts, crazy stunts, and slapstick comedy have long been the main attraction. 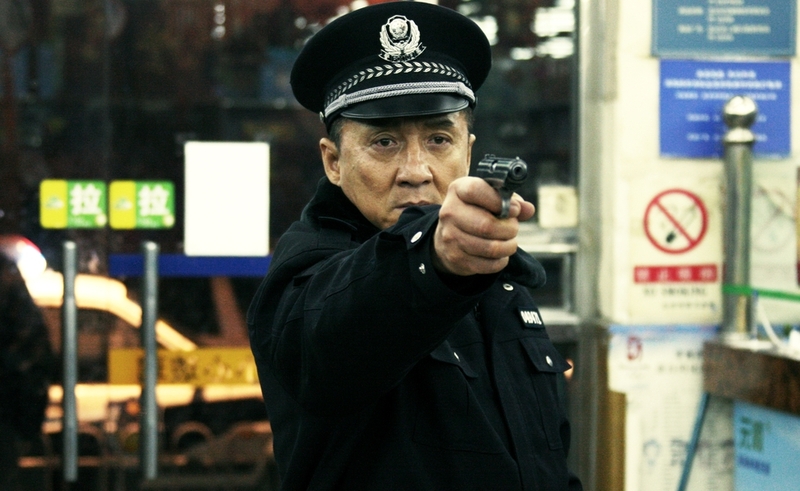 But the Jackie Chan of Police Story: Lockdown, a dour action thriller in the Die Hard mode, is in his late 50s, and while he’s remarkably spry for someone that age, his mobility is much more limited and he doesn’t have the acting chops to compensate. It doesn’t help that this 2013 production has appropriated the title of one of Chan’s most popular series, even though there’s zero overlap in terms of character and mythology, to say nothing of tone. The Police Story series peaked in 1992 with Supercop, which teamed him with Maggie Cheung and Michelle Yeoh for several memorable setpieces, but two decades in the life of an action star have taken a toll. The second attempt to reboot the franchise after New Police Story in 2004, Lockdown is mostly a humorless bore until the obligatory bloopers and outtakes in the end credits—and even those are drawing from a flat vein, since there’s so little play in the movie. Though it was a big hit in China, the film boasts production values with a direct-to-video quality that’s reinforced by a story grounded in stock villainy and tacky sentimentality. Chan stars as Zhong, a Beijing police captain who’s beckoned to a hip nightclub by his estranged adult daughter Miaomiao (Jian Tian), who blames him for her mother’s death. Hoping for reconciliation, Zhong instead finds Miaomiao embracing a punk lifestyle (colorful wig, neck tattoo, etc.) and serving as acquiescent arm candy for the club’s owner, Wu Jiang (Liu Ye). When Wu takes Miaomiao and several others hostage, Zhong has to fight him and his henchmen while revisiting a scene from his past that explains why the kidnapping is happening. The single-setting “Die Hard in a...” premise eventually combines with a Rashomon-esque series of flashbacks from multiple perspectives to produce an actioner bogged down by an exceedingly talky third act. Writer-director Ding Sheng, who previously worked with Chan on 2010’s Little Big Soldier, tries to goose up the tension with gimmicks (like having the hostages in explodable neck collars) and fake-out fantasy sequences, but the film only really comes to life when Chan and Wu’s burliest bodyguard have it out in a cage match. Though neither comic nor balletic, the scene does showcase Chan’s still-impressive compactness and speed, and adds a bone-crunching violence that goes along with the seriousness of the rest of the film. This is a grittier Jackie Chan largely because it has to be, but a depressing sign that there simply aren’t many tools left in the box.